The Jean Paul TR-430 Trumpet offers its users a substantial upgrade in playing experience. The rose brass lead pipe construction produces a richer and wider range of tones. With an Adjustable third trigger, the TR-430 allows for a natural hand position and proper playing technique. It's upgraded with highly durable piston valves, lengthen the life of the instrument while maximizing sound quality. With intermediate students in mind, The TR-430 Trumpet makes a great vehicle for those players looking to take their performance to the next level. 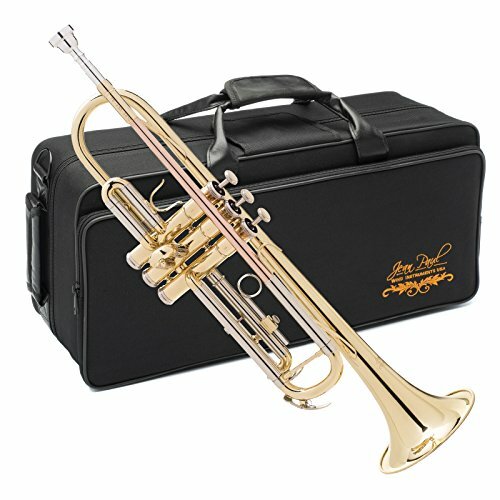 Best Affordable Student/Intermediate Level Trumpet? Jean Paul sent me one of their intermediate trumpets to try. This company imports trumpets, tests them prior to selling, and provides a 12 month guarantee.